BB guns or "soft air" guns have got to be one of the most fun "toys" I have come across in the last few years. You can have hours and hours of fun with these things! BB guns are just the coolest. N.B. you must be 18 to purchase a bb gun in the UK. If you're under 18, check our the "AirZooka" at the bottom of the page. 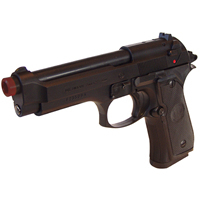 Don't Forget, the bb guns below are available in the UK only. 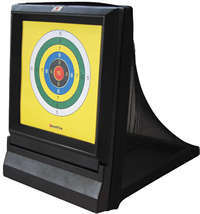 Click Here to check it out on the Boys Stuff site. 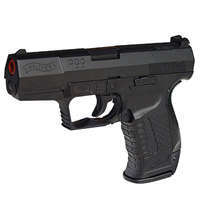 If you want something a with a bit more power and accuracy try this Walther P99, it's my definitely my BB gun of choice. It's currently £29.99, and again at the moment they are throwing in 2,000 free BB "Powa" pellets (worth £8.99). If They also offer a Beretta model that is slightly cheaper at only £24.99, and again at the moment they are throwing in 2,000 free BB "Powa" pellets (worth £8.99). H&K .50 as used by Lara! Sooner or later, probably sooner (especially if you get one of the machine guns) you will need some more ammo. 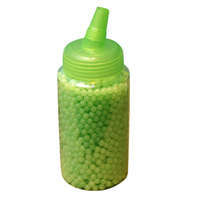 £8.99 for 2,000 glow in the dark pellets, not quite as good as tracer bullets, but as close as you'll get with a BB gun. 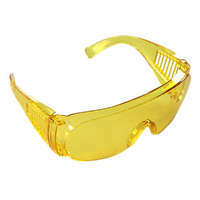 They're only £2.99, so don't be a chump and risk losing an eye, buy a pair of safety glasses. they come in a range of funky colours! If you're keen on the Min gun BB machine guns then "I Want One Of Those" have got a special deal on at the moment. 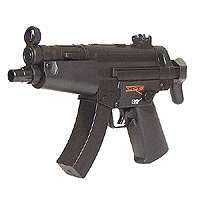 They are offering two BB machine guns with 2,000 BB pellets for the bargain price of £49.95. They also offer a range of different mini guns to choose from. But be careful, make sure you don't lose an eye for a laugh, get some safety glasses! An "AirZooka"! 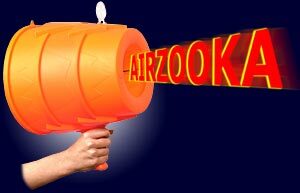 what on earth is an AirZooka?!? Yup, I know it looks a bit whacky, but this is an AirZooka! It's the best new toy I've found in the last few months, you can have hours of fun with this thing, especially in the pub. But what is it I here you cry! Well, I know it looks like it, but it is not a bucket with a handle on thee side. 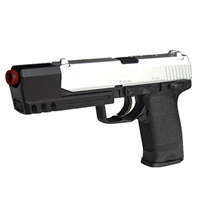 Basically it is an air gun that fires a ball of air up to 20 feet. I know that sounds a bit strange, but trust me, it is a helluva lot of fun! The reaction of people who are just not expecting it and don't know what just happened will keeep you laughing for ages! and don't start me on what my cat thought of it! I'm actually going to have to order another one though, as mine seems to have dissapeared since my kids were last here! I'm not too bothered though, these things don't exactly break the bank! At only £12.99 each, it's the best laugh per pound value I've had in ages! Click here to check out some comments from people who have bought one or to order on yourself if you fancy terrorising your mates or your pets in a totally new way.